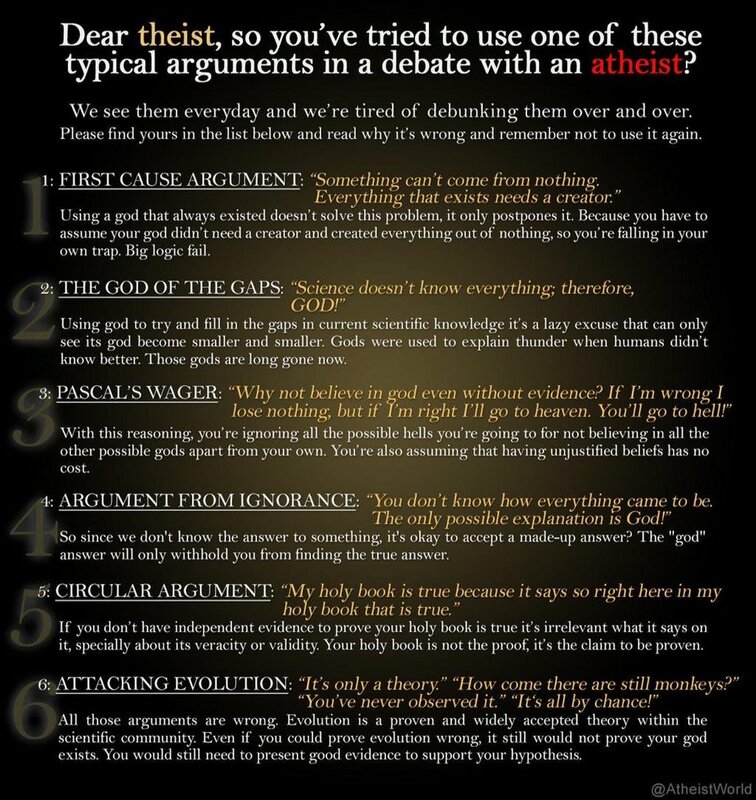 Here’s an example of a misrepresentation of theistic arguments against atheism. Now, our universe had a beginning. We know this from Einstein’s theory of general relativity; we get the geometry of the universe by solving a simplified model of the universe to get the FLRW (Friedmann–Lemaître–Robertson–Walker) metric. This metric predicts there was a Big Bang around 13.7 billion years ago, and it predicts that the geometry of the universe becomes singular at the Big Bang. This is why it’s reported that the universe came into existence at the Big Bang and nothing existed before it. If the law of causality is true, and it is, and if our universe (spacetime, energy, matter) had a beginning and, from science, we know it did, it follows that its cause must be outside space, time, energy, and matter; in other words eternal and immaterial. This is true whether we choose to believe that this eternal and immaterial cause is mind (God) or a non-mind. There is no doubt that a parallel exists between the Big Bang as an event and the Christian notion of creation from nothing. The theist who says “science doesn’t know everything, therefore God!” is making a bad argument. So is the atheist who says, “science has shown that X does not require God, therefore A, B, C, D, E, F, G, H, I, J, K, L, M … W, Z) will sooner or later be shown not to require God. Truth be told, I see more atheists make the latter mistake than I see theists make the former. Almost all atheists, in fact, make a double mistake when it comes to the God-of-the-Gaps argument; first, they incorrectly claim that Darwinian evolution has done away with God in biology, and second they say that a similar non-theistic cause will be soon found for the origin of the universe, laws of nature, DNA, abiogenesis, ethics, etc. First, Darwinian evolution, even if true, has not done away with the necessity of God in biology because evolution needs the underlying genetic code to make any changes to living forms; so now, instead of an intelligent Being that created all living forms in place, you have an intelligent being that designed a sophisticated digital code and supremely resilient storage system that allows living forms to change and adapt to their environment, something even our best scientists cannot do and do not even fully understand. No gaps closed there. …all studies of the code evolution are performed in formalized and, more or less, artificial settings […] the relevance of which to the reality of primordial evolution is dubious at best. […] a much more general and difficult problem, perhaps, the most formidable problem of all evolutionary biology. Indeed, it stands to reason that any scenario of the code origin and evolution will remain vacuous if not combined with understanding of the origin of the coding principle itself and the translation system that embodies it. At the heart of this problem is a dreary vicious circle: what would be the selective force behind the evolution of the extremely complex translation system before there were functional proteins? And, of course, there could be no proteins without a sufficiently effective translation system. A variety of hypotheses have been proposed in attempts to break the circle (see (132–135) and references therein) but so far none of these seems to be sufficiently coherent or enjoys sufficient support to claim the status of a real theory. […] Summarizing the state of the art in the study of the code evolution, we cannot escape considerable skepticism. It seems that the two-pronged fundamental question: “why is the genetic code the way it is and how did it come to be?”, that was asked over 50 years ago, at the dawn of molecular biology, might remain pertinent even in another 50 years. Our consolation is that we cannot think of a more fundamental problem in biology. What about the origin of life once we, somehow, have this genetic code? Do we know how life could arise naturally from non-life? Have we closed a gap there? Nope, it appears we have not. Ok, but what about the origin of the universe itself? Have we shown that the idea of God behind the universe is unnecessary? That the universe could have come from nothing or from a non-mind? Have closed that gap? No, we haven’t, but again, not for lack of trying. You see, in order to vilify the God-of-the-Gaps argument, you need to have at least closed a few gaps. Or even one gap. Yet Naturalism has closed no gaps. In fact, it’s made them all far wider; it has replaced little gods running around inside the machine with a mastermind programmer who has compiled an information-based universe running complex algorithms in a universe written in the language of mathematics, as shown in this simple analogy. Now, it is possible that scientists will discover in the future how the universe, DNA, life, and everything else arose naturally. Not only how they could have arisen, but that they actually did so, and therefore render the idea of an intelligent designer, or God, unnecessary. The point is, they haven’t yet. Not even close. We haven’t closed a single gap, so the atheistic trust in Naturalism is unwarranted. The viewer is subtly encouraged to be an atheist (1) because of the pagan religious beliefs of the Vikings and other religionists of old who erroneously used various gods as a way to explain common natural phenomena, and (2) because of the inappropriate behavior of certain Catholic authorities in antiquity who viewed belief in the laws of nature as a heretical concept. The impression is left that such examples exemplify the nature of theism. Such individuals in history, carrying the banner of theism, have been sadly misled, but such examples do not exhibit the nature of true theism. The views and practices of such people should not be a factor in the determination of truth, just as the views of the scientific world in the 1400s that spontaneous generation occurs should not be used as a reason to reject science. Likewise, the behaviors of some atheists throughout history, including Hawking himself, should not be used to dismiss atheism. Truth stands on its own, regardless of those who do or do not espouse it or represent it accurately. I find Pascal’s wager an interesting historical introduction to game theory and a philosophical product of its age, as 17th-century Europe was entering a period of mercantile capitalism and saw the emergence of risk-taking and gambling tendencies. I never took the argument seriously, especially because Pascal seems to point out that our limited human reason cannot comprehend the infinite and everlasting, which, although true, does not mean that we cannot use reason to reach the conclusion that God exists. If some theists really phrase the argument as “we don’t know how everything came to be, therefore God,” I agree with atheists (I used to be one) that it’s a bad argument. The real argument, to paraphrase Mark Twain, is not what we don’t know about the universe that makes us say, “therefore God.” It’s what we do know. We know from science that our universe had a beginning, or, in other words, that STEM (spacetime, energy, matter) had a beginning, that the universe was, from the very first instant of its life, governed by a very precise subset of mathematical parameters, chemical parameters, highly fine-tuned cosmological constants, that life is based on a very sophisticated genetic code that is analogous to tokenized computer software, that the natural origin of life is next to impossible. All this, from science alone, points to a Mind. As you can see, it’s not an argument from ignorance; it’s an argument from knowledge. 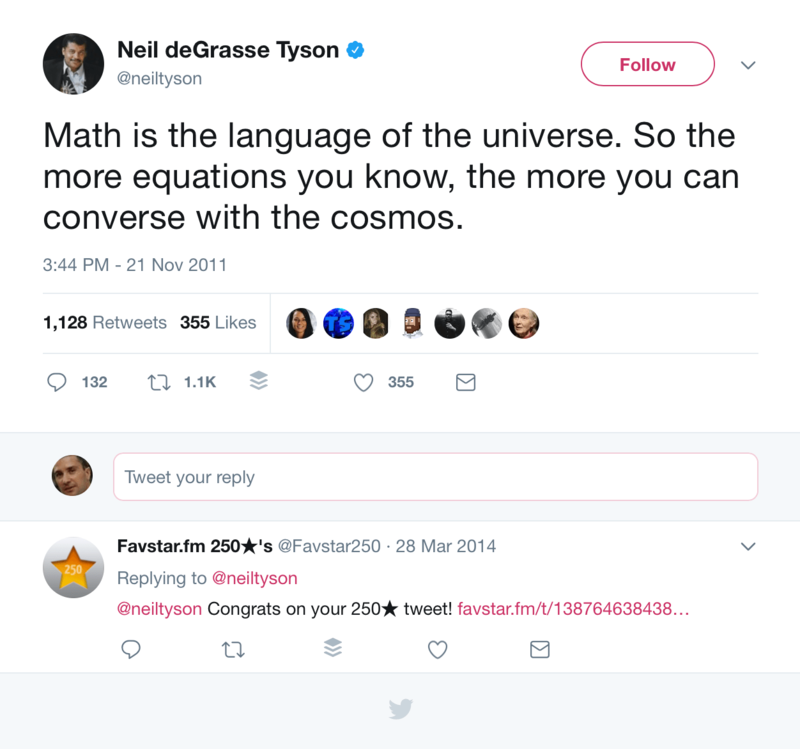 Again, it is possible that this argument is wrong, but the atheist would have to show how a non-mind could have (and has) created a universe from nothing, its governing parameters (descriptively called “laws of nature“) and “constants“, the genetic code, life from inanimate matter, etc. They have tried, but so far, they have failed. They have offered their equivalent of a “creation model” every bit as metaphysical as God, like empirically unverified claims about quantum fluctuations creating the universe, or naturalistic hypotheses for the origin of the genetic code but, so far, they are metaphysical conjectures with the added baggage of having to explain how a non-mind could even qualify as a possible, plausible, and probable cause as opposed to a mind. How does a non-mind write an information-based universe written in the language of mathematics? I don’t know anyone who says, “My holy book is true because it says so right here,” and stops there. The full argument, at least when applied to the Bible, is that the holy book proves its supernatural origin and/or historical reliability. For example, the Bible makes the claim, in the very first verse of its first book, that the Universe was created from nothing by an eternal and immaterial entity. This was a bold and quite unique claim for backward Hebrew shepherds living thousands of years ago, and it took science until the late 1920s’ to realize that claim as true. Or we can look at all the prophecies in the Bible, like the one in Isaiah 53 about the crucifixion of Jesus, or read the words of wisdom spoken by Jesus, or the historical details presented in many of the OT and NT books, which makes them verifiable or falsifiable. Most lay people don’t know the meaning of scientific theory, so they misuse the term. The real point, though, is that Darwinian evolution is not a theory like Gravity or Relativity or Quantum Physics. Although Darwin’s theory is very often compared favorably to the great theories of mathematical physics on the grounds that evolution is as well established as gravity, very few physicists have been heard observing that gravity is as well established as evolution. They know better and they are not stupid. Berlinski, David. The Devil’s Delusion: Atheism and its Scientific Pretensions (p. 191). Basic Books. Kindle Edition. Computer simulations of Darwinian evolution fail when they are honest and succeed only when they are not. Berlinski, David. The Devil’s Delusion: Atheism and its Scientific Pretensions (pp. 188-190). Basic Books. Kindle Edition. A scientific theory makes predictions that are consistently verified. The theory of evolution makes predictions with a bizarre track record; scientists keep finding soft tissue in 65 million-year-old dinosaur fossils, which should be impossible. The point is that, even if Darwinian evolution were true, that random mutations add massive information to the genome faithfully preserved by natural selection, they can only do so because of the underlying genetic code, which would also require, but does not have, a purely naturalistic origin, in life forms that would also require, but do not have, a purely naturalistic origin, in a universe that would also require, but does not have, a purely naturalistic origin. Therefore saying that evolution makes the existence of God unnecessary is ludicrously off the mark. It’s like saying that you don’t believe your pizza was made because you can explain its dressing as a meteorological phenomenon. Well, what about the dough, the toppings, its hot temperature, good taste, and its non-poisonous and nutritious ingredients? What about meteorology? Where do they all come from? Similarly, without evidence on how the universe, its laws, DNA, life could have arisen naturally from a non-mind, the discoveries of science have made the existence of a mind behind our universe all the more necessary.